Purple high heels - Marks and Spencer. Accessories - Thrifted from street shopping in Malleswaram. 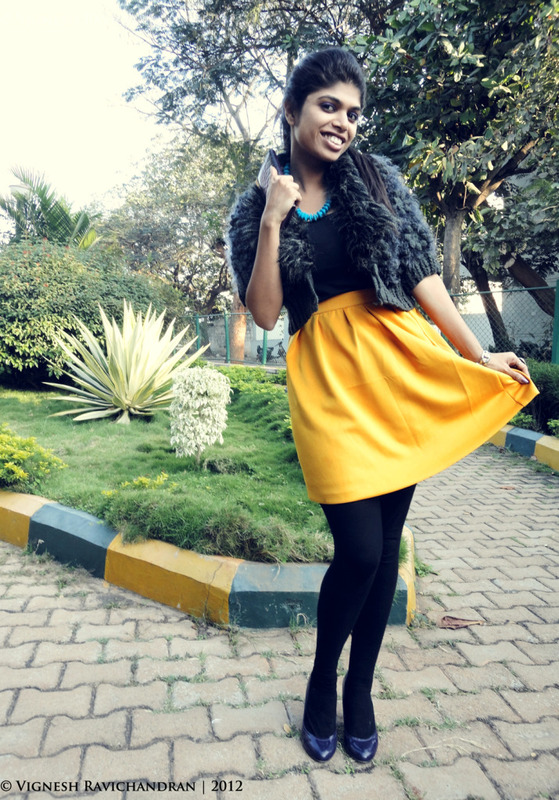 This week's inspiration is the yellow skirt I thrifted from Lifestyle splash collections. (during buy 2 get 1 free offer). 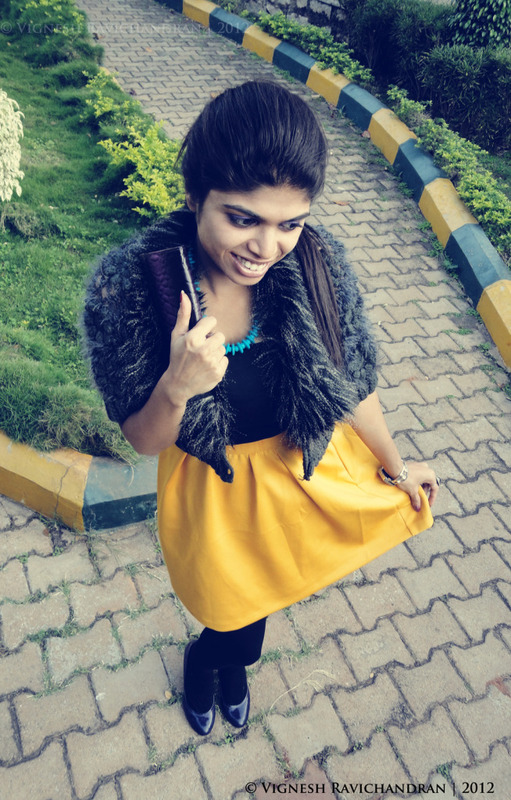 The yellow skirt and faux fur woolen jacket cost me 1000Rs each. I tried to color block yellow, grey and purple. Yellow is synonymous with summer. I paired it up with grey ( color which I usually associate with winter, dull and boring days) and added colorful accessories to brighten the look even more. The high heel is from Marks and Spencer. It is quite old and I honestly don't remember how much they cost. I picked it up 2 years ago when me and my friend Nikhila usually go shopping during new year sales to Mantri Mall. It''s our yearly ritual to reminiscence the good old college days. 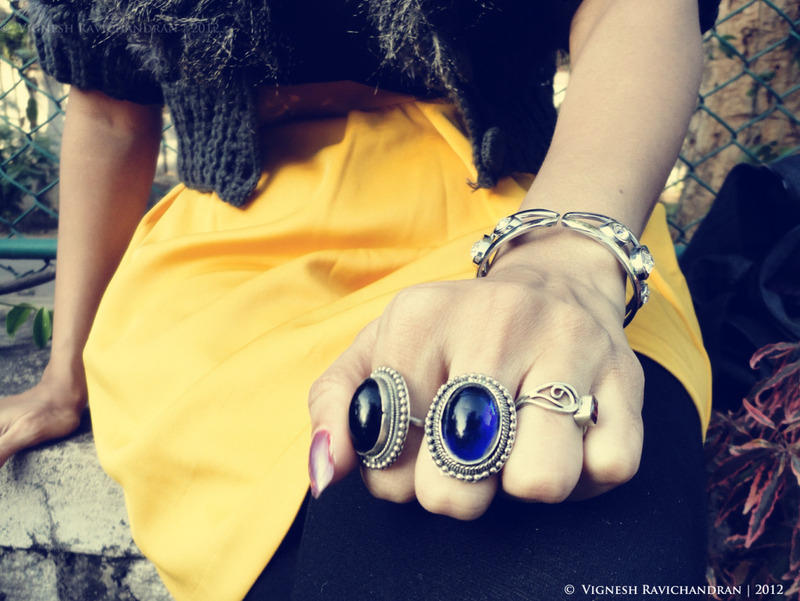 The accessories I picked up during thrift shopping in streets of Malleswaram. 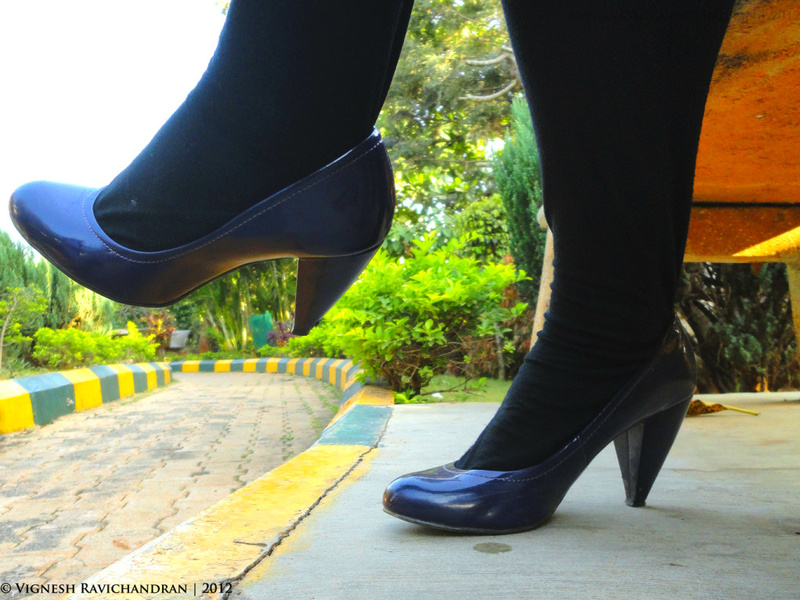 Let me know what you guys think of the look and the color block :) I shall wait for all your lovely comments. I would like to share good news with all of you. 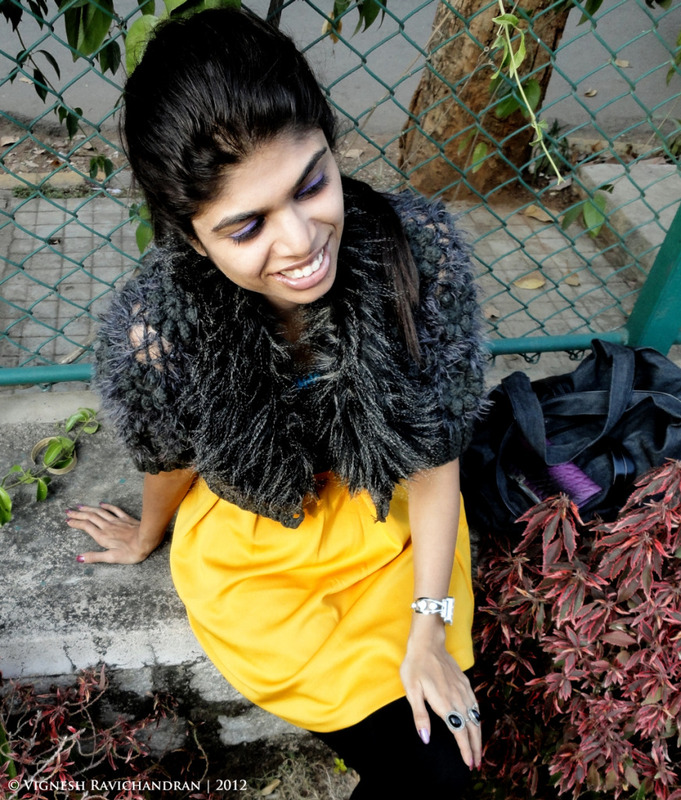 I am one of the bloggers roped in to blog about Wills Lifestyle India Fashion week. I am super excited and posts about Fashion week coming up soon. P.S. I was not well and very tired during the photo shoot. It is the reason why I look very dull in the photos. WINNER OF OASAP GIVEAWAY IS.. 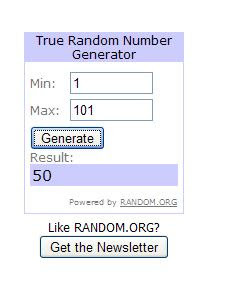 The comment was made on DAY 4 of the giveaway. 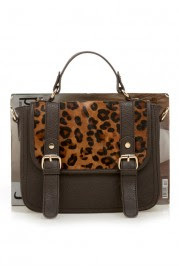 YOU WON "leopard-fur-double-buckle-2way-satchel". I wore yellow today too.. a bit more bright haha ! CONGRATULATIONS! I'll look forward to your fashion week posts. Oh I'm in love with the fur! You look GORGEOUS! That clock/bracelet is super nice! I love your yellow skirt, it's so colorful <3 and I love your hairstyle, it is totally rocking with the outfit! love the yellow! thanks for checking out my blog, hope you'll stop by again soon! 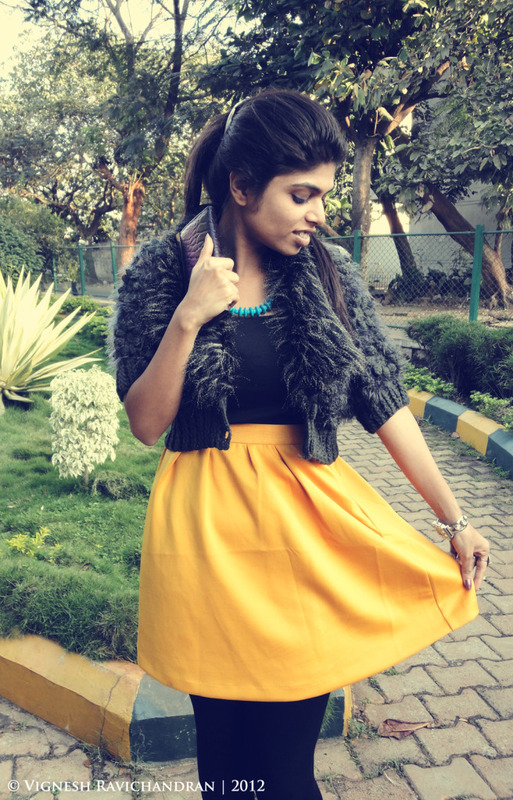 LOVE the yellow skirt and the fur! Great way to mix winter and spring trends!! Just found your blog! Would you like to follow each other? WOW! Amazing blog ! Thank you for your comment. This is SUCH a cute look!! It's a great transition look into spring because of the bright color along with fur accents. You have a great style sense! gorgeous! I love the skirt, the color is bold and chic! And Thank you!!!!! The bag is awesome!! Thank you for your comment. You look so fab with the skirt and fur. What a great sweater and the color of that skirt is PERFECTION. I DO love the yellow skirt!! I really like your style, I'm a new follower. I'd appreciate it if you'd like to follow mine too.